Deliberate practice is by far the most effective method for rapidly improving your abilities at any skill. If you’re lucky enough to have a good coach, they’ll take care of the planning and feedback necessary for effective deliberate practice. But when you’re learning on your own, you have to get creative in how you challenge yourself and assess your abilities. Out of my own interest in self-education, I’m collecting as many examples as I can find for ways you can independently challenge your abilities and get feedback in different fields. Each of these methods targets part of the deliberate practice roadmap and provide ways to take advantage of it without a dedicated coach. Most of these are focused on improving a certain part of the skill that may be a weakness for you and use yourself or an audience as the forms of feedback. It’s up to you to be honest about how you did and to make sure you’re completely focused while you’re working on them. Finally, if this is the first you’re hearing about deliberate practice, I strongly recommend you read my comprehensive guide on it first. Then come back and use these strategies for your self-education. Copy the works of the masters to train yourself to feel how their work was created. Look at an app’s UI, logo, color scheme, etc., hide it, then try to redesign it on your own from memory. Compare your design to the original. Copy a work you like by drawing over it, then try to recreate it on your own. Compare your recreation to your copy, where were you weakest? Use YouTube tutorials by skipping to the end, trying to reproduce it on your own, then watching the tutorial to help improve where your attempt was weaker. Remove pieces from the board to practice certain scenarios, like the end game with just the King and Pawns (Source: The Art of Learning). Look up chess/Go puzzles, set up a board to represent the puzzle and try to figure out how to win from the positions given. Play speed games to see where your intuition gets tripped up. Look up common spice combinations, put them in an SRS system like Anki, and then quiz yourself on them to build up your cooking repertoire. Cook dishes while forbidding yourself from using certain popular spices or ingredients such as garlic. 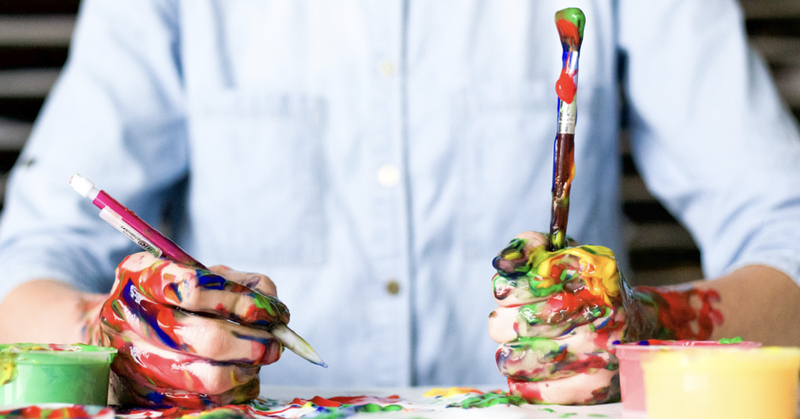 Come up with three different sales copy for a landing page, try to rank how they’ll perform relative to each other, then compare the results after testing. Vary up your training routine to get through plateaus. Download some Michel Thomas tapes and try to give the correct answers to questions before the students do, by pausing the tapes and saying the answer out loud. Use a spaced repetition system like Anki to memorize and quiz yourself on vocabulary (Source: Fluent Forever). Read a book in a foreign language while also listening to the audio to force yourself to move at a normal pace through the book. Research composition styles and try to only take photos fitting a certain composition style for a day. Only let yourself modify a certain aspect of the photograph (ISO, Aperture, Shutter Speed). When editing in Lightroom, hide the photo on your screen and adjust the sliders to what you think will look better, then uncover it to check if you were right. Use a cheap point and shoot with no controls over the camera in order to practice composition and lighting (alternatively, use your iPhone). Use a fixed lens to practice composition, so that you don’t default to zooming in and out. Use Derek Sivers’s method of learning more programming functions by quizzing yourself on them using a spaced repetition system. Challenge yourself to write solutions in multiple ways, forbidding yourself from using the same functions you used in the previous methods. Use a speed reading app like Spritz to force yourself beyond your reading comfort zone while testing yourself for comprehension, and slowly up the speed as you’re comprehending things accurately. After reading a book, or section of a book, close it and try to write a quick summary or bullet points of what you learned. Make yourself solve it a few seconds faster than you normally can, and see what parts of the solution are slowing you down the most (Source: Peak). Record yourself singing popular songs, compare your vocals to the original to see where you need to adjust. Play the fast, small court, constrained Brazilian version “futsal” to get more practice passing and dribbling in tight quarters (Source: The Talent Code). Force yourself to start sentences over if you use filler words such as “like” “um” “uh” etc. Give presentations with no words on the slides, only images. Try stopping people on the street and keeping them entertained for as long as possible, using body gestures, excited speaking, etc. Time yourself (Source: Peak). Video tape yourself presenting and watch it to identify weak points. Try other kinds of speaking such as stand up comedy, improv, dramatic interpretation. Try speaking in front of your dog or other animals and keep them entertained. Watch pros going through swings, kicks, other motions to try to emulate their movements on your own. Record yourself and compare your movements to theirs. Try going through the motions extra slowly, or extra fast, to see where your form is failing and to nail the mechanics. Try practicing swings and movements underwater to force yourself to slow down. Slowly ratcheting up the WPM you have to write at, and then figuring out what’s holding you back as you reach plateaus (Source: Peak). Play against people slightly better than you, identify where they tend to get the upper hand. Watch replays of experts playing and try to emulate parts of their techniques. Forbid yourself from using certain kinds of words, such as adjectives or adverbs. Force yourself to write from a different perspective than you usually do, or in a different style (e.g. if I re-wrote this as a fiction piece or series of haikus). Writing articles or stories within a certain fixed timeframe, either in that writing session (1 hour) or for a publishing schedule (1 article every Monday). Force yourself to convey ideas in extremely compact forms, like tweets or haikus. 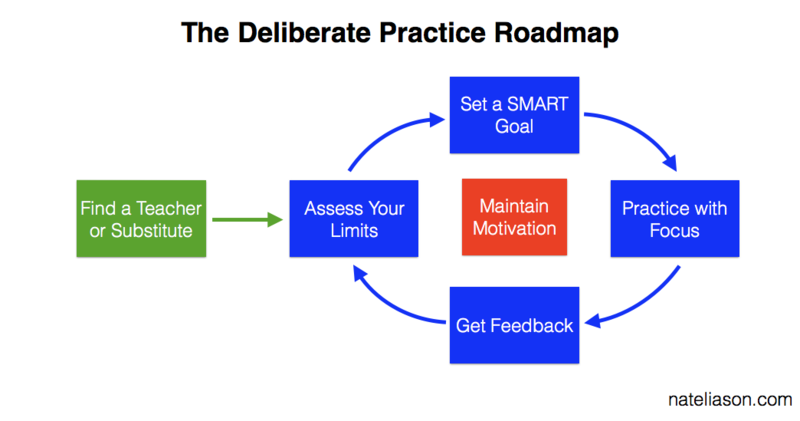 This is a living article, so if you have any other ideas or methods you’ve found for independent deliberate practice, send me a tweet or email and let me know and I’ll add it and link to you as the source!